There are a lot of questions as to why Milan made this move when they did. Yes, we need to groom an eventual replacement for Abbiati and Amelia. But it could easily be five years before Gabriel is ready to fill those shoes, and he needs to get every minute of first team playing experience he can during that time. Even still, he may not work out, purchasing him at 19 years old is a bit of a risk. Secondly, Piscitelli was on our bench last year for a lot of the season while Flavio Roma battled injuries. If he was good enough to be our third keeper then, why not loan out Gabriel immediately and keep Piscitelli? Instead Piscitelli is at Carrarese and Gabriel, who actually cost money at a time when the club was screaming crisis, is warming the bench for Milan. And he took up a non-EU slot, too. When the deal was originally arranged, Gabriel was supposed to be getting a Portuguese passport so he would be considered an EU player. 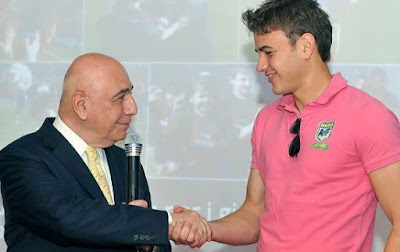 However, that fell through and the club still kept him, even before the mercato was officially open. If you would like to read the whole post, click here. From day one, the deal was strange. But then came the aforementioned transfer of Diego Lopez from Real Madrid and both Donnarumma and Plizzari hit puberty. Abbiati retired, Amelia went homeless, and still Gabriel couldn’t find a game to save his life. He was loaned to Serie B side Carpi his second season, and helped them gain promotion, playing pretty much every game. 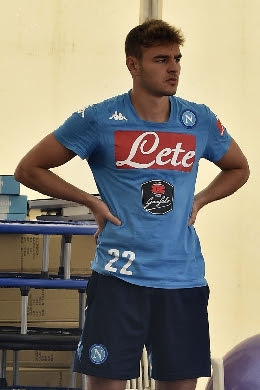 But then he sat on the bench at Napoli last year, which was also a puzzling solution… maybe he just liked the weather better there? That brings us to this season, where he and the bench continue their long term love affair. So obviously he needs to get playing time, ideally in Serie A. I mean “not-as-good-as-Donnarumma” describes all of the other goalkeepers in Serie A, but it doesn’t mean they shouldn’t play. I get that he needs playing time, really I do. I’ve said it since he arrived. But where? Enter a Galliani solution: reports say that he will swap him on loan with Marco Storari at Cagliari. You know, the 39 year-old keeper who was previously at Milan like ten years ago, but forever on loan? Because he had no place, not even behind the fading Dida, the unloved Kalac, the invisible Flavio Roma, or eventually the oft-injured Abbiati? The keeper who played in Serie B and C until he was 27? But hey, he was Buffon’s backup at Juve for five years. And while he actually did make more than 40 appearances in those 5 years, winning real trophies with the team, his claim to fame was his liability. Flip back to Juve-Catania in February of 2012, and from the bench, he managed to injure both the goalscorer (Quagliarella) and Pepe during a singular goal celebration. Cut them both open on their head & face respectively, both requiring medical treatment. Also known as the Storari Special™. Yeah. He’s that guy. Juventus fans would probably wonder why we might not want such an overly enthusiastic and experienced backup goalkeeper. But even they finally said goodbye to him. They also probably don’t realize that so far just this season, Cagliari have conceded 42 goals in the league. 36 of those goals on Storari’s watch. In half a season. He has also had public fights with both the coach and manager at Cagliari this season. In half a season. 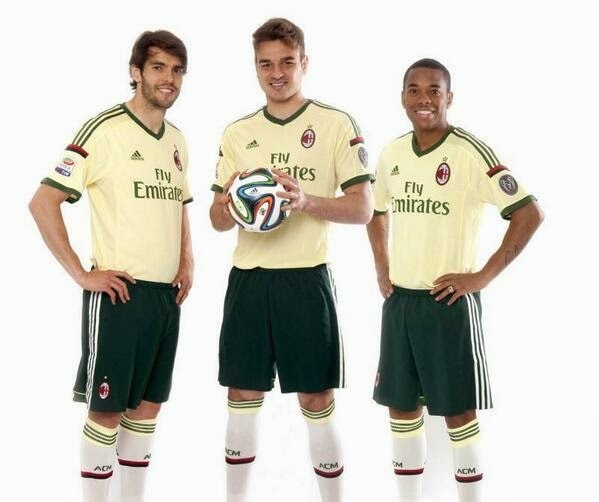 If that is not a step backward for Milan in so many wrong directions, I don’t know what is. Is Galliani trying to harm Milan just to make amends for ruining yet another player's career? People say we need some experience behind Donnarumma. That might be true, but this is not the experience we need. The last thing we need to do is go back to old, washed up players with attitude and discipline problems. Hell, we just got done with all of that nonsense finally by bleeding out the whole squad for four years. Players Galliani had carefully collected with the football intuition of a bull’s backside and the “free transfer” and wage spending of a manic woman with a limitless credit card. Now we’re going to take another one on loan just because Galliani screwed up four years ago and ruined a young keeper’s career? The trouble with Gabriel is that he was a poor decision for Milan in the first place. Now he’s a keeper without a net, relying on the loans of teams who are looking for backup keepers instead of wanting to invest in a good, young keeper for their future. He’s been so unlucky in that Milan surprisingly got Lopez. Then came Donnarumma and now Plizzari. What he needs is a good club, where he can start consistently and play regularly. Maybe that club is Cagliari, for him. But for Milan, we screw ourselves even harder with the other side of that swap. The real trouble with Gabriel is that he needs to be sold to a good club who will let him develop into a decent keeper. But in a mercato where Milan desperately need to sell to be able to purchase, why would Galliani do the right thing? For Storari? For Gabriel? Or for Milan?